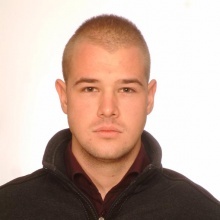 Vuk is currently a BBA student at the EU Business School of Geneva. He completed his high school of economics in 2015 and since then has been functioning in the field of marketing and advertising. He also studied at the Prince aviation academy. During his summer vacations he worked part-time jobs in Serbia or improved his language skills in camps around UK. One of the achievements he is truly proud of is passing his Air Traffic Pilot License (A) theory exams in 2016, and to be more precise: 14 exams, winning the congratulations from the Directorate of civil aviation of Republic of Serbia. Since childhood he has also been helping his father in the business organization activities related to the family-run public transportation company launched in 1997 in Belgrade. Another major factor in his life and career are his regular CrossFit trainings, as he is eager at advocating the cause of healthy life through sports and athletics. His goal is to make a successful entrepreneur out of himself and expand his father's family business or make something totally new and different - on his own.